You are here: Home / Den Talk / Marsh extension retains leadership on and off the field. Marsh extension retains leadership on and off the field. 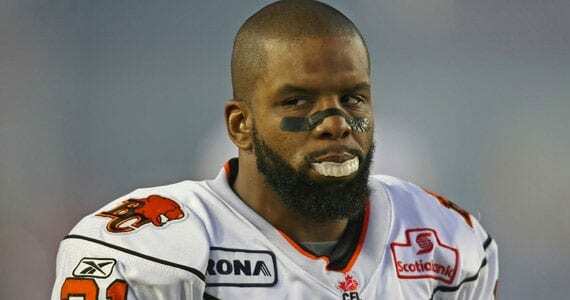 The BC Lions announced a contract extension for nine year veteran cornerback Dante Marsh on Wednesday and it would be a tough to find anyone who questions that move. Marsh has been consistently solid in his nine years patrolling the corner of the Lions secondary, and has become a leader on and off the field. Lions’ fans that witnessed Marsh’s first game as a Lion, might not have been so sure he would be around nine years later. Now a seasoned CFL veteran, Marsh was given a harsh introduction to the CFL that night, but his confidence in himself and his work ethic have carved out a nice place in Lions and CFL history that could find him on the Lions Ring of Honour / Wall of Fame, if not the hall itself in Hamilton. With two Grey Cup rings on his resume, Marsh is part of a solid core of players that are the leadership brain trust in the Lions locker room. That leadership group has been instrumental in the two championships during Marsh’s tenure, and has allowed young players coming in to be given an example of how to be professionals. When Khalif Mitchell went off the rails a little last season, it was Marsh that spoke out to let the young defensive lineman know that he better shape up or be prepared to ship out. “I’m not going to have someone ruin what we‘ve built around here,” Marsh told the media at the time. The leadership group of the club will be challenged again this year after the departure of Geroy Simon, who of course is now in Saskatchewan. But the torch is in good hands, making the contract extension for Marsh just as valuable off the field as it is on it. As a friend of this site, we’re glad to have Dante back for a 10th season. He’s partnered with us in the past to raise money for CFL Fans Fight Cancer, another one of his solid attributes. Marco Iannuzzi back as well. The Lions also announced an extension for Canadian receiver Marco Iannuzzi this week. Iannuzzi oozes potential and along with Akeem Foster, Shawn Gore and Paris Jackson, gives the Lions great non-import depth at the position heading into 2013. Look for Iannuzzi to play a bigger role and build on his 30 catch, 353 yard, 5 touchdown season a year ago.